Steven Gerrard has dramatically poured cold water over recent stories that Ryan Kent’s value has officially been confirmed at around £10M and suggests Rangers will do everything in our power to keep the winger. As readers will know, we on the site weren’t too thrilled by the numbers being quoted by Liverpool officials as their asking price for the former Freiburg man, and while we’d never question Kent’s talent, we would his consistency and value for that money. But Gerrard insists the reports are false and Kent remains a player Rangers seek to keep. There are a lot of interesting nuggets in here. First off a flat denial at the horse’s mouth that Kent has had any sort of number put on his head – although, in fairness, what else would Gerrard actually say in any case? But secondly, Stevie confirms equally that the ‘decision’ to keep Ryan Kent is in fact not down to him or Rangers at all, which is a very interesting way of putting it. Surely Rangers have a say if they have the cash to buy the player, and given the player’s own testimony he claims to want to stay. Surely to all reasonable ends Rangers, as the side giving Kent development for the past season, would at the very very least have first refusal on signing him permanently? It’s a strange development in what seemed an open and shut case. Expect more on this one. IN, whilst of course your thoughts that Rangers would/should get first refusal are logical and sensible. 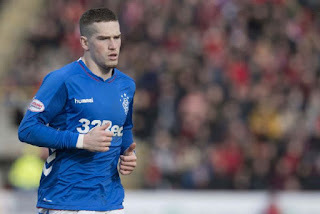 When we brought Ryan Kent on loan at the beginning of the season, as a young player who had achieved nothing elsewhere on his previous loans would Rangers have even thought about agreeing "first refusal"? Of course in hindsight we should have, but perhaps it didn't enter anyone's thinking at the time. Kent has possibly exceeded everyone's expectation by how well he has done. As for the valuation being bandied around, well of course the media never let reality or accuracy get in the way of creating a story. SG might well simply choose to deny it which would be understandable, but it is more likely (in my opinion) that the valuation has not come from Liverpool. And of course, unless Rangers had secured a watertight agreement with Liverpool over signing Kent for next season, then SG is correct in saying that Kent's future is not under his control. Back four has to be stronger. One attakking midfielder required that's a must.